We want to simplify research in the cloud with easy-to-use tools for researchers and research-focused students. 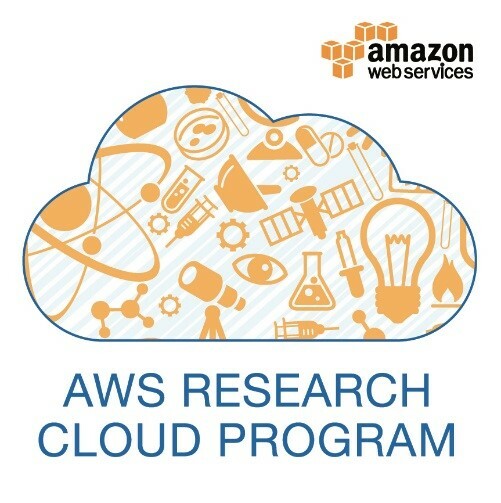 We created the AWS Research Cloud Program for researchers working in government and education institutions (as well as their commercial counterparts) in any of the 190 countries around the world where AWS offerings are available. We’re launching the program first in Europe, with instrumental Europeans institutions, like Jisc and GÈANT, because of its centrality in the world of science as well as to highlight the “research-obsessed” products and services created by many of our partners in that geography. Not only is Europe a hub for many of the world’s research collaborations, it’s also a source of computational tooling and techniques adopted globally. Many of these software tools can be found in the AWS Marketplace (which we extended to European vendors in July of this year), making a group of European science tech firms new global exporters. One example is Alces Flight, which has 1,150 science applications ready-to-run in an HPC cluster environment in minutes. While research is often a compute-intensive activity, we recognize that most researchers are not IT experts. This is core to the way the AWS Research Cloud Program helps researchers focus on science, rather than servers. Today is just the start, since the program will grow over time as more and more partner offerings become available and we come up with new services (like the recently previewed AWS Batch, or new EC2 instances) that we’ll want to share with this community. A catalog of offerings from our partners, chosen for their outstanding products and work with scientists (like Alces Flight’s HPC clusters, CFD Direct, or BeeGFS from the Fraunhofer Institute). There’s no cost to join the AWS Research Cloud Program and access this skills guide and catalogue of tools that will get you working, knowing that your data is safe and you’re in control of your computing costs.